38% off Karen Foster 3D Countdown Calendar, 25 Drawers , $12.49 through Amazon. 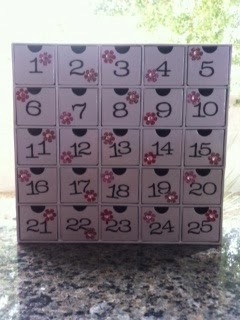 We love this idea for an Advent calendar you can customize yourself. This would also be neat to use as a reward system for little ones- hide surprises they can earn each day throughout the year! Find this fun item here.